His Eminence Metropolitan Jonah has launched the ten year education strategic plan on the theme: “He who sows sparingly reaps sparingly; and he who sows bountifully reaps bountifully.” He commended the Head Teachers for their devoted service to the Church institutions irrespective of the many existing problems. He blessed all their efforts to make the lives of many children have hop in the future saying, “I bless the use of the approved strategic plan aimed at reviving the glory of our institutions.” He further explained that, the Orthodox Mission in Uganda was founded on three major ideologies, The Spiritual Ideology (Church), Educational ideology (Schools) and Medical Ideology (Health facilities). This was and still is the major target of the church to grow a whole person. In each community, we try to put up a permanent Church structure, school buildings and a health facility as the starting mission. Christ is saying, “Come and follow me.” This is the calling you must not ignore. 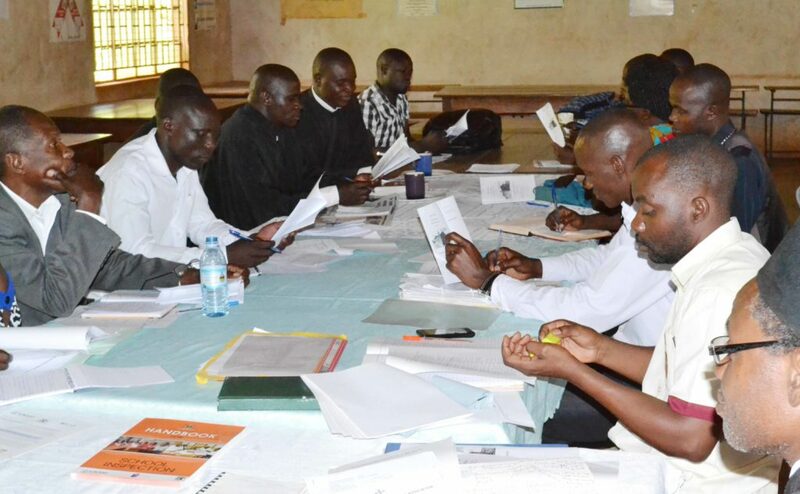 This was during the 6th Head Teachers’ Meeting of the Uganda Orthodox Church Schools that brings together head teachers and representatives of management every three months for 3 days. 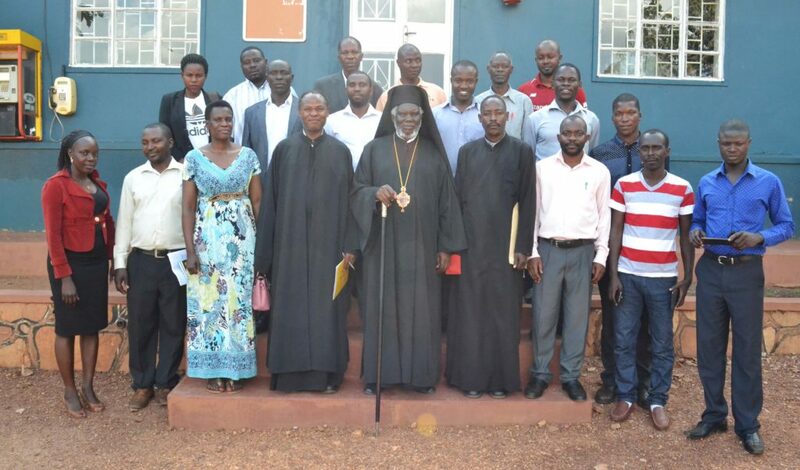 Held at Chwa II Memorial College – Namungoona in Kampala, the meeting adopted resolutions from the 5th meeting held at St. Mary’s Dormition Katente and upheld the theme for the next ten years. Since 1934, when the Orthodox Mission in Uganda started the first ever private secondary institution – at Chwa II Memorial College – after the one at Anoonya in Degeya in the 1920s, over 100 institutions have been established to date. Over 20,000 children go through the Uganda Orthodox church schools every year but the full capacity of 60,000 has not been attained due to limited quantity of quality teachers. The Church provides education services to the less privileged children in Uganda through provision of scholarships made available by kind hearted people from Europe, America, and the rest of the word. In the next 100 years, the focus has been turned on stepping the quality of education outcomes by building the capacity of each parish to own and grow the holistic mission of the church. The UOC department of education is entrusted with coordinating, recruiting, retraining, monitoring and evaluating the education learning processes, in-puts and outcomes in each school. The education secretariat responsible for functionality and performance of all the 110 schools, libraries, and institutions is currently headed by Deacon. Dr. Cornelius Gulere. Since his assuming of office in early 2017, he has organized a series of meetings with the view of reviving the glory of the church schools towards a common mission and vision of the Church. 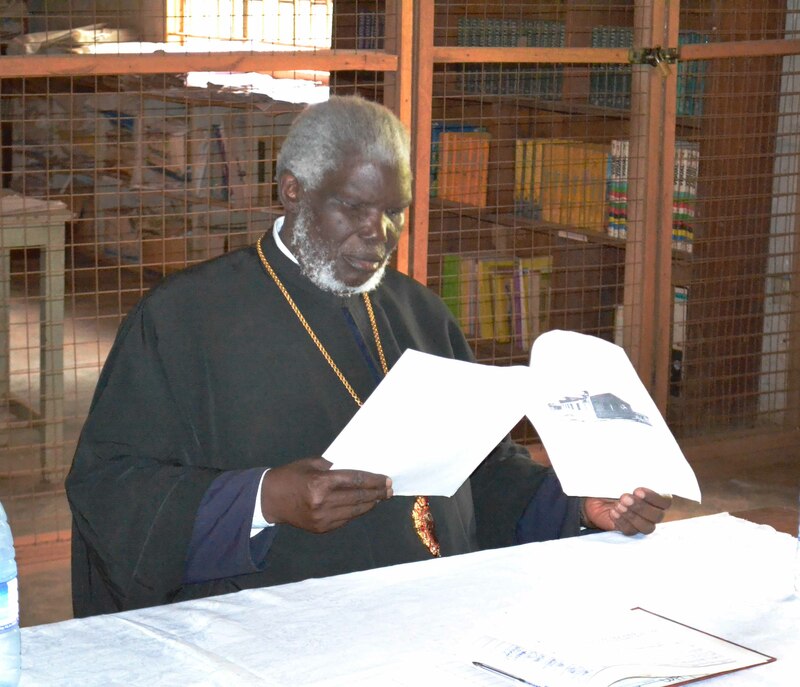 The first meeting at Namungoona Primary school had reporting, communication and records keeping as its main focus, the send meeting at St. Procopios Luwayo emphasized the orthodox parish as a holistic community of education, learning and service. 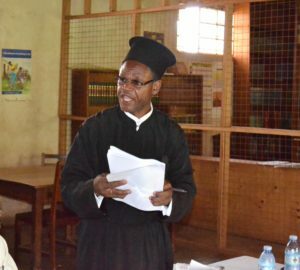 The third meeting at Holy Transfiguration Ddegeya emphasized the revival of the schools through professionalism, involvement in church programmes and reporting. The fifth meeting at St. Antonios Monde focused on planning and it is here that the strategic plan was drafted by parents, students, teachers and priests. Many meetings since Monde have been held to improve the plan that has been adopted at the 6th meeting. Such meetings included the Priestly retreat at St. Spyridon Luguzi and Head teachers meeting at Chwa II Memorial College. Raise the money needed to run the institutions with quality education in mind. Step up advertising to create more awareness about the schools’ programmes. Complete registration with the Ministry of Education and other statutory bodies. Rise above the standards recommended by the Ministry of Education. Institute Technical Colleges to enroll students who have completed in our secondary schools. Adopt policies for better human and financial resources management. The members present unanimously passed the strategic plan 2018-2028. This will help to enforce proper management of resources and administration of the institutions. The Education Secretary urged all the schools’ administrators to customize the just adopted strategic plan to their schools’ needs so that a systematic plan is established by all Orthodox Church schools before the end of November 2018. The meeting was chaired by Paul Byakatonda of St Mary’s Secondary School Katente and Lazarus Ssimbwa of Chwa II Memorial College and was addressed by the Auditor Stella Kuteesa and Joseph Tibyata coordination International Orthodox Christian Charities (IOCC) schools in Uganda. The participants included Fr. Antonios Ssempijja the head of Youth, Fr. Patrick of Bwetyaba, Fr. Joseph Mutokya of Kabonge, Fr. Simon Mwebaza of Kayunga and Fr. Paul Kasuule of Bukuya. ← Uganda Orthodox Church Priests Seminar at St. Spryidon Orthodox Parish, Luguzi Wakiso.